Looking for a hotel where everything (and I mean everything!) is all about the kids? 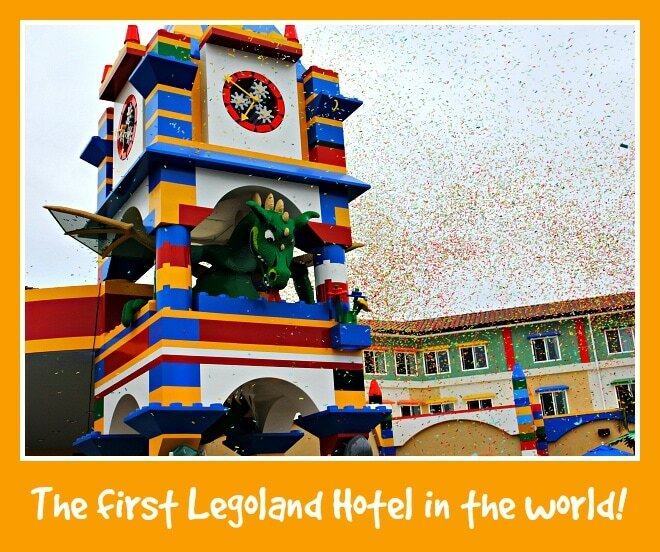 Then head to Carlsbad, California for a stay at the world’s first LEGOLAND Hotel. Even before you enter, as you walk beneath a giant dragon built from Lego bricks, you can tell this hotel is going to be different. 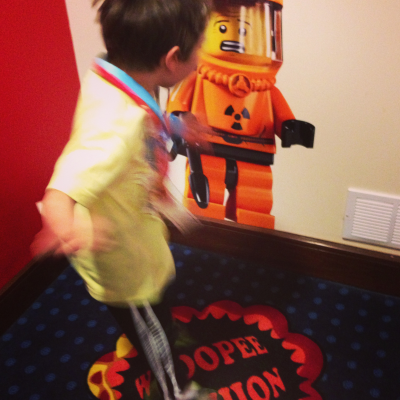 While Mom and Dad check-in at the front desk, kids can jump into piles of Legos and start building. Children are encouraged to create something from the Lego bricks for a daily model contest. Or they can peruse the wall of Lego Mini Figs behind the front desk clerk. Want a better look? Just wait for the bicycle with its giant magnifying glass wheels to peddle past to see details of these miniature plastic figurines. Don’t even get me started on how difficult it will be to keep these dusted and looking shiny and new. I hope the LEGOLAND Hotel is up to the task! As a family that travels a lot, my children have stayed in many, many hotels over the years. I have never seen them get as excited as they did when they stepped into our child-centric LEGOLAND hotel room. Some hotels offer a handful of specially-themed rooms at an extra cost. 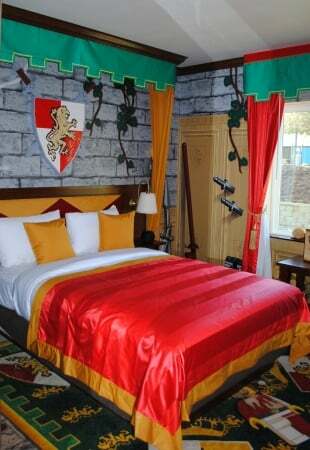 At the LEGOLAND Hotel, every single room is themed. 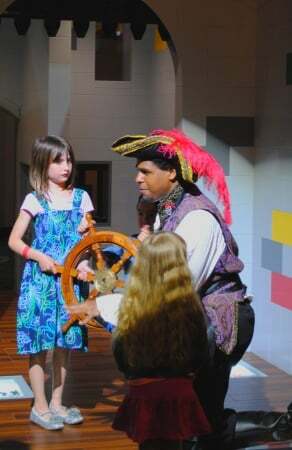 Each floor of this tri-level hotel has a different theme: Adventure, Kingdom, and Pirate. My children chose the knight- and princess-themed Kingdom room. All rooms are equipped with a separate sleep area for children with bunk beds and a trundle bed to accommodate up to three children, plus a queen-sized bed for parents in their own space. While parents and offspring have their own sleep areas, there is no door. If it were up to me, I’d add a privacy curtain between the two spaces. While Disney’s focus is on families—kids and grown-ups alike—LEGOLAND’s focus is on the kids (ages 2-12) and on the kids only. Parents might find the rooms a bit overdone with in-your-face detailing like bright colors, statues made of Lego bricks, and Lego character wallpaper in the children’s area. That’s not noisy enough for you? Treat your children to the ultimate Lego fantasy and book one the Premium rooms, which are done up in the same three themes but ever-so-much-more-so with themed wallpaper making its way into the parents’ sleep area as well. 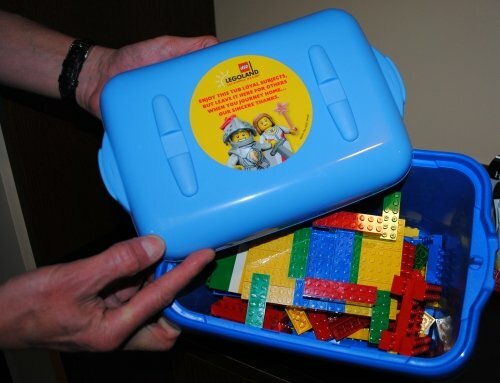 I liked the little details, like an in-room bucket of Lego bricks to borrow during you stay, a Lego character ice bucket, and a step stool for young children in the bathroom. A lock on the sliding bathroom door and an in-room refrigerator would have also been nice. Even if you are staying on the first floor, be sure to take a ride in the elevator. Why? To get your groove on! When the doors close, disco music and colorful lights come to life, inciting children to dance and leap about. Check out my LEGOLAND Hotel disco elevator video now! What kid wouldn’t love a Whoopee Cushion floor?! There is a lovely outdoor pool area in the center courtyard of the hotel. Surprisingly, there were no waterslides or other fantastical Lego details out there. Still, my children had a blast swimming in the zero-entry pool. Swim-up movies will be played poolside on Friday and Saturday nights during peak season. 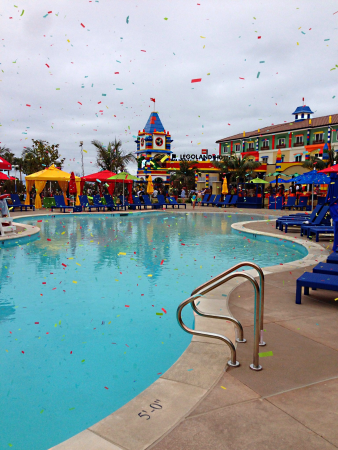 LEGOLAND Hotel guests get early access into LEGOLAND California. The amusement park (containing the LEGOLAND Water Park) and the SEALIFE Aquarium are literally just steps away from the hotel. Parents will also appreciate complimentary valet parking for all hotel guests. Nightly children’s interactive entertainment takes place in the Castle Play area near the lobby. 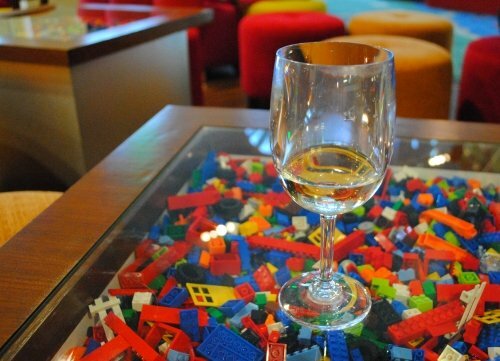 The LEGOLAND Hotel offers Mini’s Lounge for quick snacks and beverages plus the Skyline Café and Bricks Family Restaurant. The buffet at Bricks offers plenty of options to choose from, including salads, pastas, meats and desserts for dinner or eggs, cereals, pastries, yogurts and the other usual suspects for breakfast. All family members are sure to find something that appeals to them. I appreciated the kid-specific buffet, set up at a lower level for small hands to serve themselves. 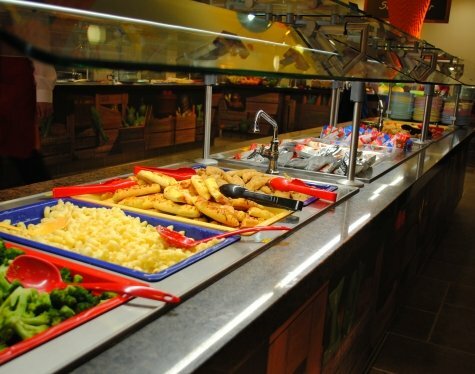 I am not a fan of buffets as they are ripe with opportunities to breed food poisoning and the Noro virus (a.k.a. stomach flu or cruise illness). Cruise ships often hand out sanitary hand wipes or provide antibacterial gel at the entrance to restaurants—something that was lacking at the LEGOLAND Hotel. I did, indeed, wind up with a stomach bug the evening after our one-night stay at the LEGOLAND Hotel (as did two other families I know of). I have a sensitive tummy and I know many others who attended the LEGOLAND Hotel grand opening who did not get sick; my husband and children were fine. I can’t be sure if the buffet was the source of my illness, however, I would advise bringing your own hand wipes to use after loading up your plates if you decide to dine here. Better yet, I’d stick to room service. 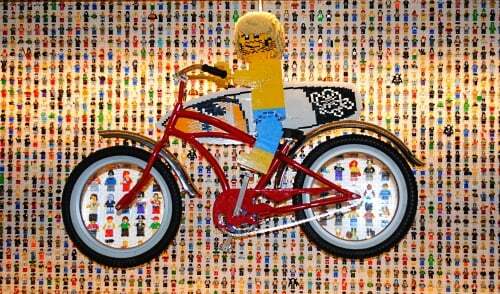 Even given my tummy trouble, I think the LEGOLAND Hotel is a must for families who love all things Lego. The attention to details and the fun factor is undeniable. We have annual passes to LEGOLAND California and my children have been begging for months to stay at the hotel. I can safely say they did not leave disappointed. Stay here a couple of nights to explore all that LEGOLAND California has to offer, or extend your stay to explore Carlsbad and the rest of San Diego County’s family-friendly attractions. To make the most of your visit, check out these LEGOLAND California Tips for All Ages from Babies to Teens or my LEGOLAND Hotel Review now. 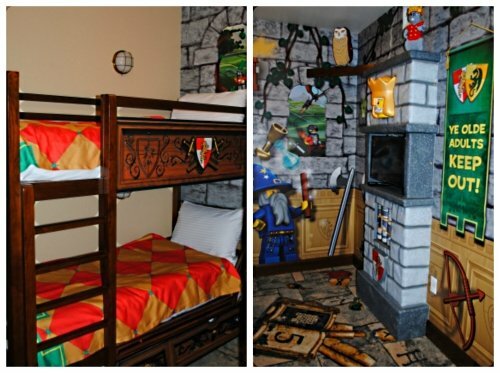 Which LEGOLAND Hotel room would your family choose…Adventure, Kingdom or Pirate? Let us know in the comments! This sounds like the kind of place we could all have fun at! We also have the premium Merlin pass and I’ve been wondering if I’ll ante up the money for a stay at the coveted Legoland Hotel… the buffet at kid level = good idea. I bet they add in the hand sanitizer dispensers asap! Joann – All Merlin card holders can get a 15% discount off a LEGOLAND Hotel stay! Use promo/corporate code: MEM15 at time of booking. I hope you are right about the hand sanitizer dispensers! Going to Legoland Florida this week! Great post! Laurel – Your family will love LEGOLAND Florida – enjoy! Am not showing this to my LEGO obsessed girls! But seriously- looks like fun! Thank you for your review Colleen! My husband and I are planning on getting the Merlin pass vs. just paying for a one day ticket since we live in Orange County and Legoland seems perfect for our 4 year old son. We are planning on scheduling a two night stay in September at the hotel when the rates go down. Do you know if pass-holders get the dining discount at the hotel or is it just at the restaurants in the park? I just found your website and can’t wait to look through it! Hi Kristen – I called the hotel’s main restaurant and they said they do give a discount to Merlin pass holders (20%, I believe). You can also get a discount on your hotel stay. Look what I found on their site: All Merlin Annual Pass holders and Ambassador Members at LEGOLAND California Resort will receive 15% off bookings with a valid Membership ID card. Use promo/corporate code: MEM15 at time of booking. Restrictions may apply. Memberships must be valid at time of check-in to receive the discount. I hope your family has a great time at Legoland California! I stayed at the Hotel the same day you posted this. I wish I had read it. My son got so sick about 30 minutes after eating at the buffet he was rushed to the emergency room after violently throwing up 11 times. He was convulsing and in so much pain they had to give him Morphine (a tiny tiny dose) and 2 bags of fluid. His symptoms were so bad they thought he had appendicitis and rushed him by another ambulance to Rady’s children hospital where he was scheduled for an appendectomy. I made them do a CT scan and lo and behold it was not appendicitis it was food poisoning!! They look very much the same. Legoland paid all our costs of the hotel but unfortunately couldn’t replace the fact my sister and her son flew down to join us at Legoland. They never offered us tickets or flights or rooms for the future. They said to send the bills the insurance wouldn’t cover. After months of writing to them and sending them what was left to pay from the $17,000 trip to the hospital they all of the sudden want the hospital records with complete diagnosis (no problem I have some but others will take weeks) They have the hospital bills with the descriptions and my written report filed at the hotel. They are making this very difficult. They did an in house inspection but that means nothing since they were the ones who did it. Besides, there are 8 different kinds of food poisoning and many variables about how food poisoning can effect people. Adults may think (like you and the other families) that they had the flu but children can die. My son is still suffering from cramps now and then His dr. said this is common in children after food poisoning and can last up to 6 months. We have done blood panels to check the kidneys and liver as a precaution. He ate rice (a huge culprit of food poisoning) that was in the adult section. Nobody else did at our table. I am glad your kids did not suffer. This was a horrible experience and I am very sad Legoland is now making it difficult to get reimbursed for very little money. One last very scary thing. When I called the front desk to ask them to for an emergency room or dr. they only had numbers with answering machines and it took 3 calls to get those numbers. There were no numbers for emergencies in the rooms nor did they have medical assistance on site. This is a CHILDREN’S HOTEL how can you not have an on site Dr. It’s amazing to me with how much they spent to build this hotel they couldn’t foresee the need to have an on call dr. Finally they called for an ambulance and it took 45 min. because they decided to call a different one after the first was dispatched. To make matters worse my son was sitting in the lobby in a wheel chair while some women from the hotel kept “chattering” at him I finally had to ask her to please get someone to drive us NOW! As my son started convulsing again. Unfortunately, their non-actions in this matter will force me to go much further to get their attention! I am so sorry to hear about your negative experience! What a scary thing for your family to go through. I have never heard of a hotel having a doctor’s office on staff—is this something you’ve seen before? Hey Colleen thanks for your response. Boy I was kind of upset when I wrote this as I had just received a letter from someone in the UK after months of no response that they wanted documentation. It was a little cold and they basically pushed the point no one else had gotten sick. About five mins. later I saw your blog! Got me riled up but I am good. I wrote the people I needed to and my expectation is their response will be more thoughtful and respectful of the situation now that they have the full story and the documentation. Good question about the staff doc. I too have traveled the world and mostly stayed in very good hotels. I am not sure about an on staff doctor but emergency procedures are always in place and established for all employees. When I was in Spain I had a horrible asthma attack. I was afraid to go to the hospital .The hotel immediately brought a doctor to me who called my doctor in the states and got the right medication for me. I won’t go into all the mishaps at the Legoland Hotel while trying to get medical help in an emergency situation, suffice to say they were only a week old and I have written in full detail to the GM now who I am confident will take the correct precautions if he hasn’t already. However, being a children’s hotel, I were them I would absolutely have a doctor on call it would be worth every cent to pay for that service. Hi Caroline – I have never used the Premium Play Pass at Legoland personally but this tends to be a pretty quiet time of the year for Legoland in my experience. (This is especially true if you could visit mid-week.) I hope you have a wonderful time in my adopted hometown of San Diego! Aww! So glad you have found TravelMamas.com helpful! Best wishes for a wonderful vacation! We used the Groupon deal for our stay at legoland resort and that was a pretty good deal not sure if I would have paid their regular price for the stay. My son liked it and it was on both his & mine bucket list. Great tip! It’s always a good idea to check Groupon and Living Social for deals.